In this day and age, it's never been more important to have role models to look up to. For some, it may be their parents. For others, it may be their favorite athletes or celebrities. However, it looks like for America, it's a United States president — former, that is. 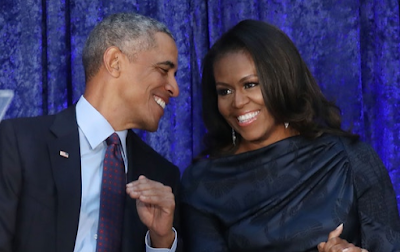 According to a 2018 Gallup poll, Barack Obama is America's most admired man, but the runner-up is kind of a surprise. According to a 2018 poll from Gallup, President Barack Obama is the most admired man in America for the 11th year in a row, while his successor President Donald Trump has been named the second most admired man in America. His wife, former first lady Michelle Obama is also named the most admired woman in America, which ends Hillary Clinton's 16-year reign.